Happy Schadenfreude Day, Daleiden indicted. It's a schadenfreude day for us all! Pleasure derived by someone from another person's misfortune (he got caught). Excerpt: David Daleiden and Sandra Merritt have been indicted by the grand jury for tampering with a governmental record, said prosecutors for the county in which Houston is located. 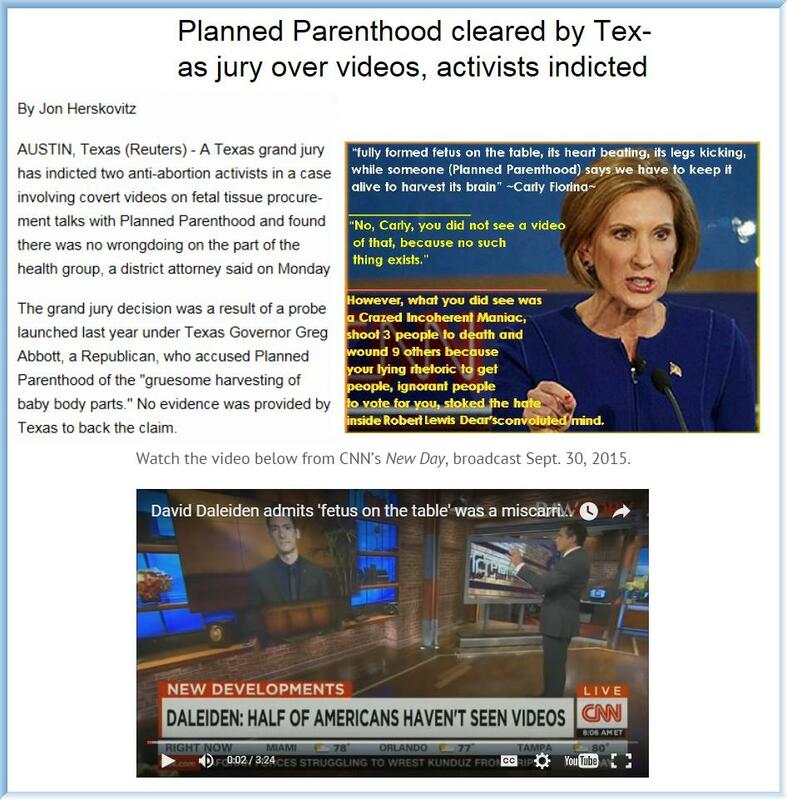 "These people broke the law to spread malicious lies about Planned Parenthood in order to advance their extreme anti-abortion political agenda," said Eric Ferrero, vice president of Communications for Planned Parenthood Federation of America. "As the dust settles and the truth comes out, it's become totally clear that the only people who engaged in wrongdoing are the criminals behind this fraud, and we're glad they're being held accountable," he said.